A not so easy block this time for "Dearest Boy". The block size will be a finished 10 inch once I trim it. I chose to hand piece the block and in the end, it did not lay completely flat even with steam pressing. And the background edges curved in. I had printed out an Electric Quilt version of the pattern which I ended up not using and went with the one in the pattern book. I am wondering if I mistakenly traced the Electric Quilt pattrn for the outer background pieces instead of the one from the book. Anyhow, I decided just to applique the Pine Burr section to a background square and go with it as is. Cathy said her block went together okay by using freezer paper templates and machine piecing. Julie has chosen to do a different block design. Now on to the next block which is an applique design. I need to have it ready for sharing on January 30th. It turned out just great!! I love it, Karen!! I think it turned out great too! Your block looks terrific! I thought it was going to be a tricky one and you managed to conquer it beautifully. You block looks great to me. 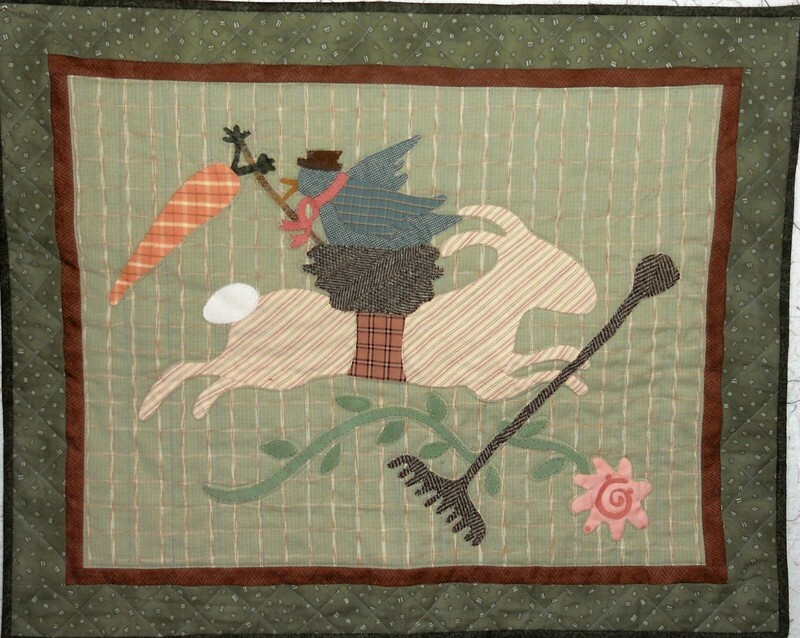 This must be a fun project, and working on it with other quilters. There are many ways to achieve the same end. It looks really nice, Karen. I love Pine Burr patterns--including your design in a magazine years ago. This is a block I've always wanted to do. You did a great job with such a challenging design. Love it. Beautiful block and piecing, wish I had to patience to do more piecing. I've been missing Dearest Boy... this is a pretty block! Your block looks perfect from here--love it! I think I would have gone Julie's route--lol!